Hamilton May presents a stylish, designer apartment with a terrace offering a view of the Vistula River. This unique property will meet the requirements of the most demanding tenants. Hamilton May presents a unique five bedroom apartment in the Menolly investment in Warsaw's Powiśle. Hamilton May presents a modern, two bedroom apartment in Powiśle. The property is located nearby the Centrum Nauki Kopernik subway station and belongs to a beautifully arranged, discreet settlement. 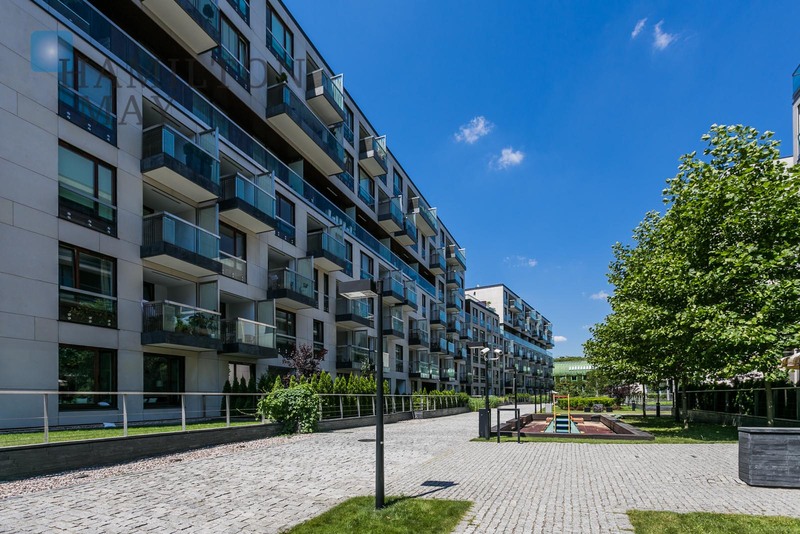 Hamilton May presents apartments located in the luxurious and centrally located Nowe Powiśle by Menolly investment, located next to Vistula boulevards. Nowe Powiśle by Menolly is a prestigious residential complex finished in 2012. The apartment building features 5 levels and an underground garage. It is fenced, comes with 24/7 reception desk and security. The common areas are finished with top quality materials. The building's modern architectural design uniquely blends with the surrounding area. The investment is just perfectly located - on Wybrzeże Kościuszkowskie street, in the heart of Powiśle distirict - it is the only investment developed in this part of the Vistula boulevards. The investment is separated from the river only by a park, and the Kopernik Science Center. The surrounding area is one of the most elegant spots in the entire city. The very center of Warsaw is located within a walking distance and location grants great infrastructure and communication with other districts. The building holds 296 apartments of various size - between 45 m² and 180 m². Apartments were finished with use of top quality materials. Most of them come with balconies and building's top level features penhouses with spacious terraces, offering spectacular views.